Struggling with infertility can be difficult and emotionally stressful. This stress can be made worse if you do not receive your fertility care in a center that is attentive and compassionate to your individual situation. We continuously strive to minimize stress and earn our patient’s satisfaction in everything we do. We monitor our patient’s feedback carefully and look for ways to improve our delivery of services. Our surveys show a very high satisfaction rating with our physicians scoring 98% or higher. Additionally 99% of our patients say they would recommend us to a friend. Below are exerpts from patient feedback and testimonials. I am very happy with your clinic. I am so glad I chose you. I felt like you were family and everyone was very friendly, warm and especially competent. I thank you all very much and may God always bless you We understand, Dr. Z teaches us while we are in the room during our procedures. We have learned so much since our first appointment. We love you guys. We really appreciate all the attention your office provided. We felt very comfortable in a situation that could have been a lot more stressful without your caring staff. The extra time put into preparing a “Princess Stephanie” crown made us feel special and that you truly cared about us and our success. Thanks for all you did. We are very excited about the arrival of our baby in July. It’s hard to improve on an already excellent package – and this is how we felt before we got a positive pregnancy results! Have felt throughout the process that even if we never achieve a viable birth – we would always know that the best was done that could have been done. And life will go on peacefully, knowing this. Never having even contemplated this approach to achieving a pregnancy, hadn’t researched the subject much. However since have done so and must say that your website appears to be one of the most informative – both the procedures and the pricing. Unfortunately this isn’t a cheap process, but never having any little financial ‘surprises’ was very reassuring. Thank you all for being part of this with us! You guys are an outstanding group of people. I appreciate your support, medical advise and help you have given my husband and I. But more important I appreciate your faith and willingness to share it with me and openly talk about it. That’s not very common in a very politically correct society and medical field. You guys were terrific at giving us the information and confidence we needed to make our decision during the transfer process. We left your office feeling we made the right decision in the midst of so many unknowns. Fingers crossed! Everyone was very friendly and kind. I/we really felt like family. Love the fact that we would walk in and everyone knew who we were. Everyone always calmed my nerves and answered all our questions. Thank you for everything. I can’t speak highly enough about our experience and care at CA IVF. We always felt taken care of and by the best in the IVF field. We felt part of a “team.” Very friendly and caring staff. Everyone in the office made my husband and I feel very individualized. All questions answered in a very timely manner. Wouldn’t change a thing, outstanding care! Wish I could have known about this clinic first (had IVF done at another clinic). Great staff! Especially fond of Dr. L and Debra. I felt at peace and comfortable in their care. Dr. Zeringue and all the staff were outstanding and especially kind to my wife (name removed). They are very much appreciated. Thanks for the boy! Everyone on the staff is incredibly friendly and I actually recommended the clinic to others. (My Husband) and I are very happy having found this clinic. What a breath of fresh air compared to (another clinic)! Love you guys! All of the nurses were great – Su, Nicole, and Rachael all made me feel like I was the only patient. I couldn’t have asked for a better experience. Thank you!! Thank you to the ENTIRE family at CA IVF in Davis – each of you has such a heart for your patients and it shows. You all are so friendly, attentive, and helpful. This is a stressful journey we’re on, but all of you have made it as easy as it could possibly be. Thank you!! I never felt rushed – Thank you. You guys are the best!! I wish Dr. Z still did O.B. too – he is sooo great! Thanks for everything so far! CA IVF staff are highly personable and responsive. Staff sensitivity is outstanding. When it matters most, Dr. Z spends extra time listening and talking through concerns/experiences. Alisa goes above and beyond to extent caring for patients. I’m always fit in for appointments – even on busy days. Someone always calls to answer questions with quick turnaround. I have felt from the outset that the entire staff at California IVF has been exceptionally attentive, sensitive, resourceful, supportive and compassionate, not to mention professional and competent. Thank you for caring. The classes were very helpful, staff very friendly. Staff has been very responsive when I’ve failed with questions or concerns. She print out – take home calendars and instructions were also very helpful. We’re still not pregnant, but not ready to give up just yet! Thank you! As stressful and emotional as this process has been, your staff has made all the difference. What a caring, thoughtful group of professionals. Whatever our outcome, we feel we have been a part of a remarkable team. You’re the best. Make you feel like family! Makes you feel that you can call anytime when unsure of anything! He (Dr.Zeringue) is wonderful. They make you feel at all times that you are very special being there. We would recommend the whole staff at anytime. When someone always includes the husband (by first name basis) in everything, that is a special office. 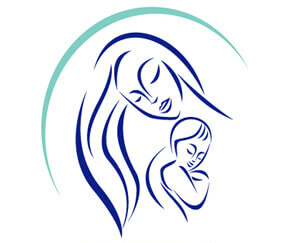 Everyone at California IVF has been caring and knowledgeable. We appreciate all of your time and efforts to make this process as painless as possible. You are a very special group of people! I (we!) appreciate the kindness and personal attention we received at each appointment. Anytime I have called the clinic, I have always been able to talk to someone who could answer my question(s). When sending an email, I’ve always received a response by a few hours. Thank you all for your attentiveness and love of your job(s)! The entire staff made it so very special – I cannot imagine trusting this to anyone or anywhere else. You cannot get any better! You are all so friendly and caring! Your like family! Thank you for your kindness! Very excellent clinic. I have already told others about the wonderful experience we (my husband and I) had at your clinic and hope your business continues to prosper. Dr. Zeringue and this entire staff were always professional and extremely warm hearted. I will be recommending the office to my friends and family. Thank you for the great work you all do !! My husband and I visited (another clinic) before coming to California IVF. We were insulted by the lack of compassion at (the other clinic). So when we arrived at your office and were welcomed (literally) as family, it was so comforting! I loved the caring nature of everyone in the office from reception all the way to the lab. I also appreciate the sense of humor that made me laugh during difficult times. No matter what the end result will be for us, I know everyone there will celebrate or cry with us. I know this was the perfect group of people to help us. Thank you! I got an appointment sooner than expected. (The doctor) spent more time than I expected – very thorough. I felt very informed and guided in all decisions, yet I still felt I was in control of the decisions. Honestly, I can’t say I would change anything. Even when I had to wait longer to see the staff, I knew it was because they were giving another patient the wonderful attention I appreciated on my visits. I couldn’t have asked for a better experience. Everyone was friendly and great, each and every time I visited. Thank you so much! P.S. I’ve never had a receptionist remember my name before! Thanks Anna! Absolutely outstanding in every way. Our experience could not have been any better. The treatment exceeded all of our expectation. Infertility was extremely stressful for my husband and I and ya’ll made it easy enough to understand and feel that we weren’t alone and that ya’ll were on our side to help start and grow our family. Thank you Excellent. Keep up the good work. You are all doing a great job. All of you are very committed in helping us all to start a family. You are miracle workers. Keep the spirit alive, continue your great work. Thanks a million! Thank you for everything. God bless all of you!